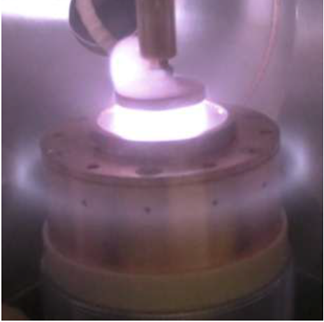 When researchers at General Electric Co. sought help in designing a plasma-based power switch, they turned to the U.S. Department of Energy's (DOE) Princeton Plasma Physics Laboratory (PPPL). The proposed switch, which GE is developing under contract with the DOE's Advanced Research Projects Agency-Energy, could contribute to a more advanced and reliable electric grid and help to lower utility bills. The switch would consist of a plasma-filled tube that turns current on and off in systems that convert the direct current (DC) coming from long-distance power lines to the alternating current (AC) that lights homes and businesses; such systems are used to convert AC power to DC power as well. The tube would serve as a compact, less costly alternative to the bulky assemblies of semiconductor switches now installed in power-conversion systems throughout the grid. To assist GE, PPPL used a pair of computer codes to model the properties of plasma under different magnetic-field configurations and gas pressures. Scientists used a customized LSP PIC-MCC code that follows millions of virtual plasma electrons and ions to simulate the switch in both one and two dimensions, and compared the 1D results with those produced by a one-dimensional EDIPIC code that has been extensively used to study plasma propulsion devices. Researchers then validated the models by comparing them with results from past experiments. GE has also consulted with PPPL about developing a method for protecting the liquid-metal cathode—the negative terminal inside the tube—from damage from the ions carrying the current that will flow through the plasma. The company has been studying PPPL's use of liquid lithium, which the Laboratory employs to prevent damage to the divertor that exhausts heat in a fusion facility. The lithium forms a wet, self-healing barrier that could serve as a model for the GE cathode.